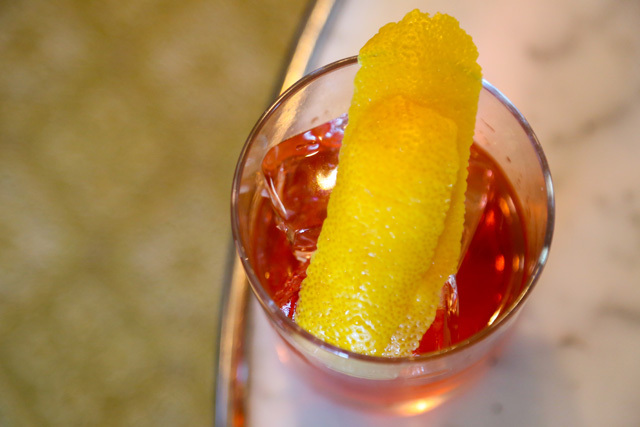 Presented by Imbibe Magazine and Campari, the third annual Negroni Week is taking place June 1-7, 2015, featuring bars from around the world showcasing the classic cocktail and countless variations. During Negroni Week, each participating bar will donate a portion of proceeds from every Negroni sold to a charity of their choice. 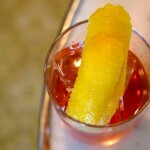 Last year, 1,300 Negroni Week bars and restaurants collectively raised over $120,000 for their designated charities. 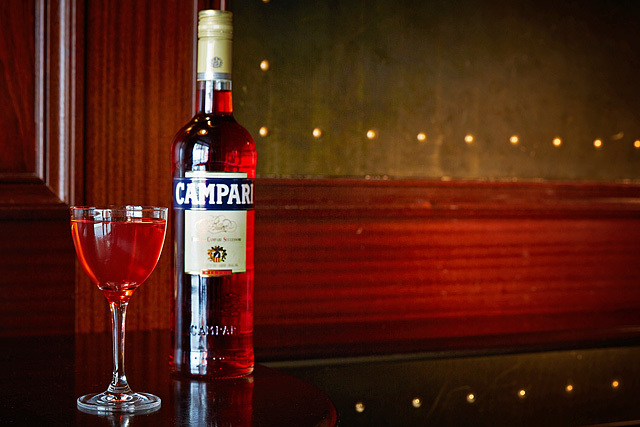 Campari is once again donating $10,000 to the charity chosen by the bar/restaurant that raises the most money during Negroni Week. In 2014, the top fundraiser was HG Sply Co. in Dallas, Texas. Their selected charity, Genesis Shelter, received the $10,000 donation from Campari on their behalf. In addition to the $10,000 donation, Imbibe will also randomly select a participating bar to receive a $1,000 donation to their chosen charity. 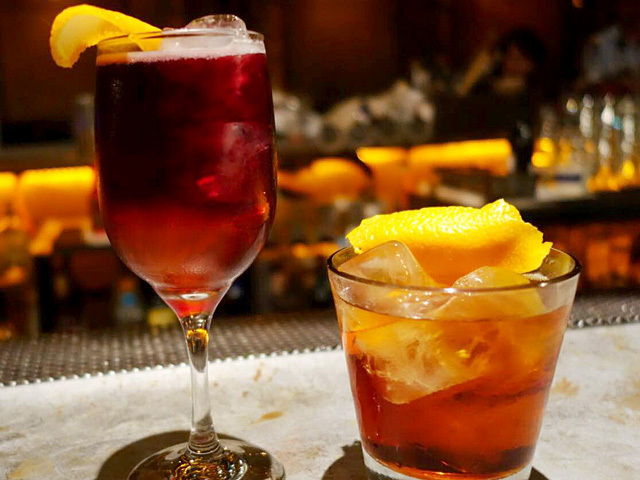 Any bar that participates during Negroni Week and completes and submits a donation form will be eligible for the $1,000 donation, no matter how much money they raise during the week. Led by Dylan Snyder of ACME Hospitality Group (Beelman’s Pub, The King Eddy Saloon, Library Bar, Sixth St. Tavern, Spring St. et al. ), more than a dozen L.A. bars are teaming up to raise funds for Didi Hirsch Mental Health Services. Other local bars joining ACME in the Didi Hirsch fundraising effort include Big Bar, Cole’s French Dip, Little Easy, Los Balcones, The Spare Room, Three Clubs and Wolf & Crane. 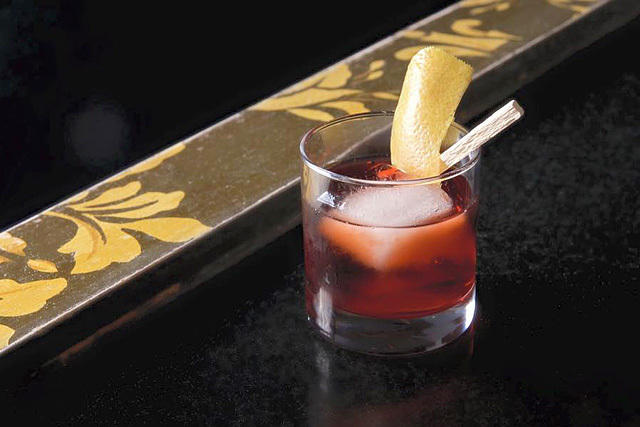 Nearly 30 Negroni Week participants across the country are donating proceeds to Inspire Artistic Minds (IAM), an Orange County-based nonprofit that provides opportunity scholarships and educational experiences to advance the arts in the areas of taste, sight and sound, with a strong focus in the food and beverage industry. 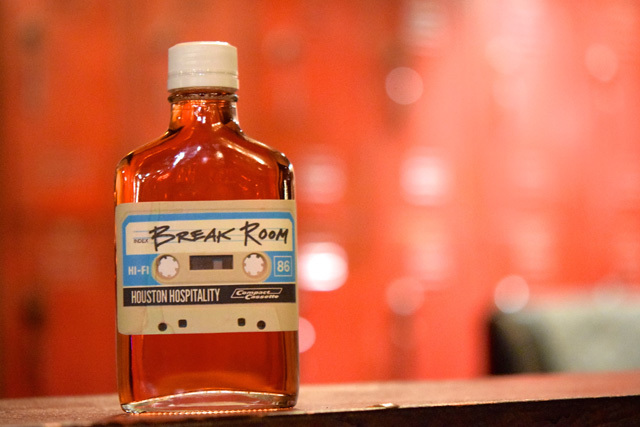 Notable bars include 320 Main, Break Room 86, Death & Co., EP/LP, Harlowe (which is throwing a Negroni Week Party on Wednesday, June 3), Honeycut, Liberty, Melrose Umbrella Co., Noble Experiment, The Normandie Club and Sassafras Saloon. Pour Vous bar manager, François Vera says, “The ASPCA does a wonderful service for animals and helps to protect them from cruelty, a cause we truly believe in.” For Negroni Week, Vera is featuring the Vinegroni: Beefeater 24, Campari, Punt e Mes, La Bête Côtes-du-Rhône and orange oils. 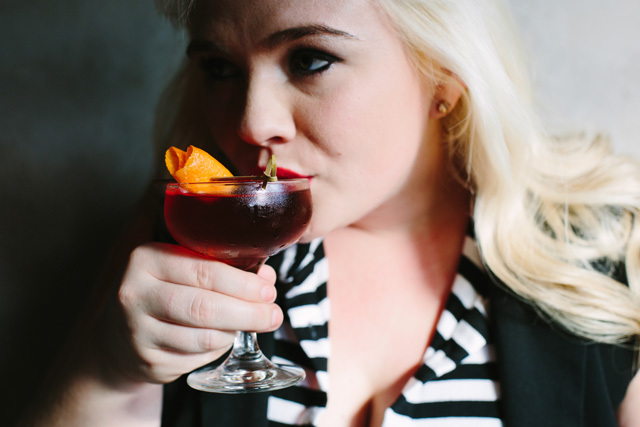 So many Negronis, so little time. Of course, the Negroni Week concept is designed for you to visit these great bars and help them raise funds for their designated charities. Fortunately imbibers can stay with the theme long after Negroni Week has ended. 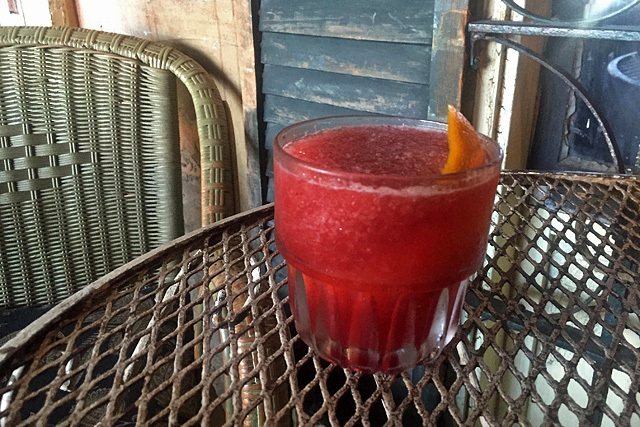 After the jump, read on for recipes for the Eveleigh Negroni and The Foxhole, courtesy of Garrett Mikell and Mark Skeens, respectively. Cheers! 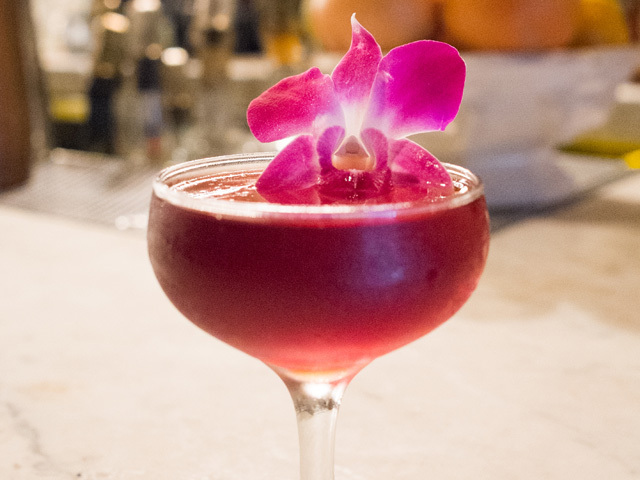 Recipe courtesy of Eveleigh bar manager, Garrett Mikell. 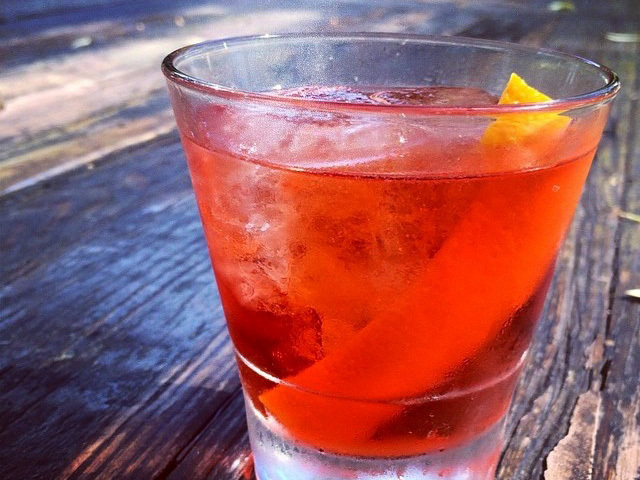 Eveleigh will be donating $2 of every Negroni sold during Negroni Week to Communities in Schools. Garnish with an expressed and dropped orange peel. Recipe courtesy of Mark Skeens at Big Bar. Stir with a big rock. Garnish with lemon and grapefruit peel.